I’d like to share a big announcement! 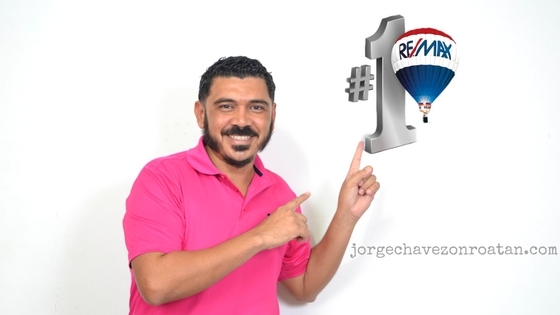 When I started my career in real estate after returning to Honduras and moving my family to the island of Roatan, I started with RE/MAX. Over the years, I’ve tried different real estate paths, but I have now come back home to where it all began: I am now a Sales Associate with RE/MAX Bay Islands! I love the support I receive through working with RE/MAX – it is truly incomparable. That support allows me to provide even better service for my clients; it helps me to help you. I’m still the only Roatan real estate agent with the certification provided by The National Association of Realtors: Resort and Second Home Property Specialist. That experience allows me to help you make the right investment. I’m not just winging it here…I’m certified specifically to help you with the purchase of a resort or second home in Roatan. I continually strive to educate myself to be better able to help you in your home search or business venture. I insist on providing the most professional and personalized service to anyone who chooses to work with me – that comes from continuous self-improvement on a professional and personal level. If you trust me to help you make a real estate investment in Roatan, then trust that I am as updated as possible on every aspect of your purchase. In case you haven’t noticed, I’m very active on social media because I believe in highlighting our beautiful island home. I love to show how wonderful life in Roatan can be – and that’s not just for business purposes. I truly love my life here, and I want any client of mine to find that same happiness. If you’re hoping to sell your Roatan real estate, you can also trust that my activity on social media and my top-ranking website grants your listing more exposure. I am constantly working for you to ensure the best possible outcome. Going back to RE/MAX Bay Islands is a positive move for me and for all my current and future clients. I hope you’ll find the services I can provide through RE/MAX to be very helpful. Here’s to a new future together…I look forward to working with you as the newest return RE/MAX Roatan real estate agent!